Physicians from 10 Washington state hospitals will collaborate on a large-scale pragmatic trial that aims to discern whether antibiotics are a reasonable alternative to an appendectomy, the routine medical response for more than a century. 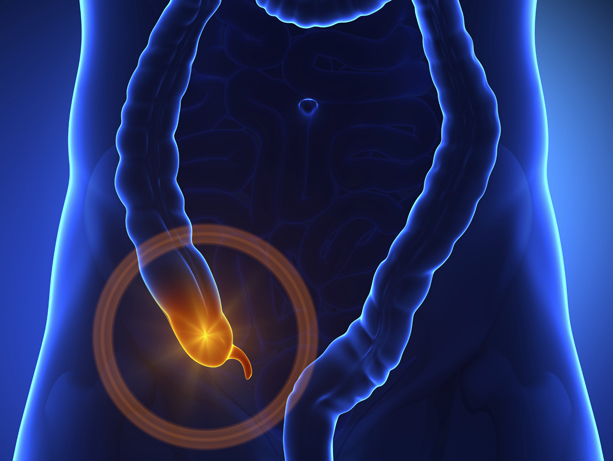 Nearly 300,000 Americans undergo an appendectomy each year. A person’s lifetime chance of developing appendicitis is relatively high, about 7 percent, yet its treatment has not been well studied. "This study will finally answer the question: Is antibiotics-first really worth it from a patient’s perspective?” said Dr. David Flum, left. Dr. David Flum, University of Washington professor of surgery and the study's principal investigator, pointed out that although advances have made appendectomies safer, circumstances have not always allowed a surgical response. “For example, the common and successful practice of treating Navy sailors and submariners who had no access to an operating room with antibiotics suggested the potential of this approach,” Flum said. Further, he added, for patients who visit a doctor many days after their appendixes have perforated, it has long been standard practice to treat with antibiotics alone. The study, whose funding was announced Aug. 18, will begin recruiting patients in 2016; 1,552 patients will be randomized to receive appendectomy or antibiotics-first for uncomplicated appendicitis. A separate observational cohort of 500 patients who decline randomization will be studied, as well, to support the generalizability of the study results. Final analysis of the data is expected by September 2020. The American College of Surgeons and the World Society of Emergency Surgery both describe appendectomy (either laparoscopic or open) as the preferred treatment for appendicitis. Both state that an antibiotics-first approach comes with a higher chance of recurrence. There are patients, however, for whom an appendectomy might not be ideal – older people and those weak from other surgeries. Dr. Flum is a board-certified general surgeon with expertise in management of gastrointestinal disorders. Five randomized, controlled trials in Europe have reported that antibiotics-first can avoid appendectomy for most patients, with acceptable outcomes, Flum said. They show a similar length of stay among groups and a recurrence rate of 10-37 percent in the antibiotics-first group at seven-12 months post-op. It’s fair to say that surgeons unfamiliar with the data supporting antibiotics-first might hesitate to try that protocol or adhere to it, Flum acknowledged. The study is being funded by the Patient-Centered Outcomes Research Institute, an independent nonprofit organization authorized by Congress. It will be run through the Comparative Effectiveness Research Translation Network, a group evaluating the effectiveness and value of healthcare in Washington state; Flum is its medical director. Participating hospitals are in the Puget Sound area, the Skagit Valley and Eastern Washington. In Seattle they include three UW Medicine hospitals, Swedish Medical Center and Virginia Mason.